Kids beds are smaller versions of adult twin beds. Children spend much more time sleeping in their beds than adults. Therefore, it is important to consider many factors before purchasing one for your child. What are the key differences between an adult and junior bed? Why should you buy a children's bed for your child? Below are some pros and cons of buying a kids version versus an adult one. 1. Adult ones are larger and a kid can grow into them. Therefore, a new bed will not have to be purchased as the kid grows. 2. Adult twins look like other regular twins. Therefore, your child will not feel like his is smaller and not for grown-ups. Having his own bed is important for a child to become more independent. Therefore, it is oftentimes important to give the child the same thing that his older sister or older brother has. 3. Regular twins don't have extra amenities and therefore you will not pay a premium for one. It is very easy to purchase a regular twin for a good price. 4. Adult twins don't need smaller kids mattresses or unique sheets specially designed for the kids beds. Therefore, you will spend less money keeping up these beds. 1. Kids beds are specially made for the size of kids. This means that they are smaller in size and usually lower to the ground. Regular twins are made for adults so they aren't as low to the ground. These are easier for children to climb into and out of. 2. Children's beds help to ease kids into adult ones. 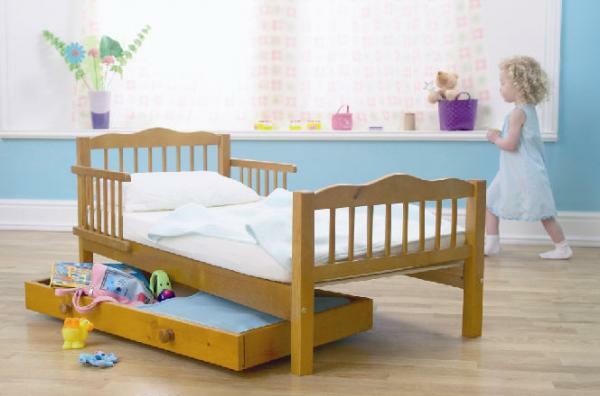 A lot of times, the junior beds have extra built in rails that will keep the child safe and secure in the bed. For regular twins, an extra bed rail will have to be added when the kid is younger, especially if the kid tends to roll around while sleeping. 3. Kids beds are specially designed with fun characters and fun things for children. For example, there is the race car bed designed for little boys and little girls. These all make going to sleep more fun for a kid. This helps the parent and the child at night. Adult twins don't come with these features so other things will have to be added to compensate. 4. Some children's furniture is specially designed for babies or toddlers. This toddler furniture are perfect for the baby becoming a toddler. 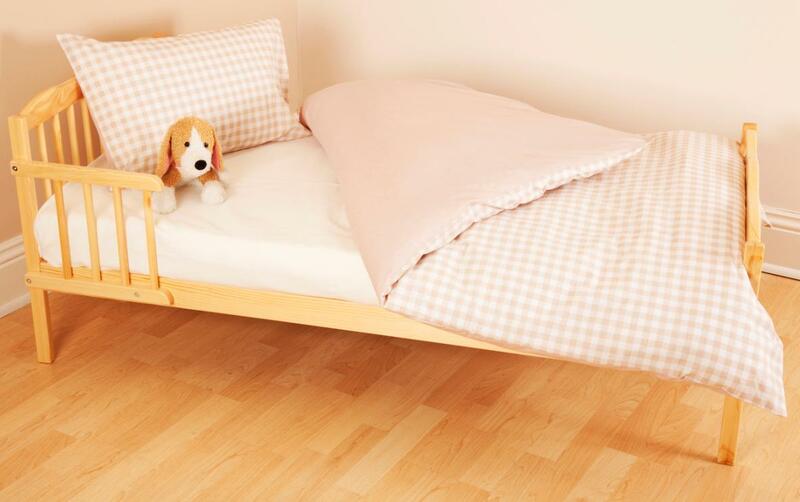 These junior beds have special railings that can act as a crib and then convert into a regular junior bed later on. When purchasing furniture for your child, consider these pros and cons before making a decision. Every child is unique and you must consider where they are developmentally before choosing. Also, consider the space of your house and other examples that the child sees before purchasing your child's junior bed. Passengers get their first taste of double bed en-suite Sleeper trains scotsman.comA new fleet of Caledonian Sleeper trains, which include double beds and en-suite bathrooms, have been unveiled and transported passengers for the first time. Bed Bath & Beyond shakes up board amid activist pressure Financial TimesUS home goods retailer's co-founders to step down as directors but CEO to remain.